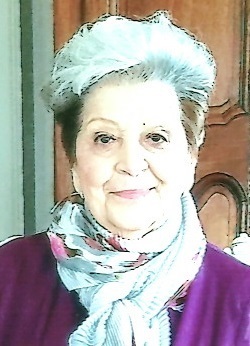 Obituary for Anna Abbate | Shore Point Funeral Home and Cremation Services, Inc.
She is survived by her loving children, Joann Santulli and her husband, Ron of Florida and Georgette Muratore and her husband Carl of Middletown, New Jersey, her sister, Catherine Lombardi and her husband Vincent. Anna is also survived by her grandchildren, Cara Guglielmo and her husband Andrew, Allie Muratore and her fiancé, Angelo Locicero and Ricky Muratore. Anna is also survived by her nephews and nieces, Al Gencarelli and his wife Pat, Vincent Lombardi and his wife, Aida, Donna Bonafide, and her husband Bob, Connie Puzulich and Jackie Abbate, along with many great nieces and great nephews, her beloved grand-dogs Eddie and Hercules, and many other cherished grand-dogs. Anna will be deeply missed but never forgotten. Family and friends are invited to visit on Friday, February 1, 2019 from 6:00 pm to 9:00 pm, and Saturday morning, February 2, 2019 from 9:45 to 10:30 AM at the Shore Point Funeral Home and Cremation Services, Inc., 3269 State Highway/Route 35 North, Hazlet, New Jersey 07730. A prayer service will be held on Friday at 7:00 PM at the funeral home. Entombment will take place on Saturday, February 2, 2019 at approximately 11:00 AM at Holmdel Cemetery Mausoleum, 900 Holmdel Road, Holmdel New Jersey 07733. In lieu of flower donations can be made in her memory to St. Jude's Children Research Hospital or stjude.org. For information, directions, or to send condolences to the family, please visit, www.shorepointfh.com.